Sometimes, there are requirements in which user has to gives input in one smart field and depending on the value provided on the first field, we have to restrict the search help of another filed. It is a scenario where there is need of dependent search help. 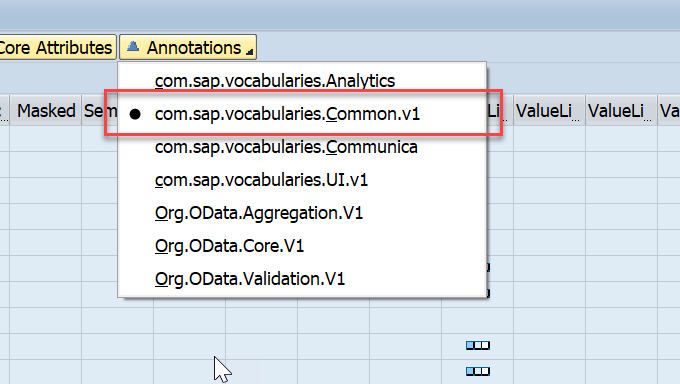 One such requirement comes to me also, i have created a dependent search help with the help of vocabulary based annotation in OData. Here, In this article first part show what is achieved as a dependent search help and second part will show what have done in OData part. Let take an example in which based on input of MODEL, values should appear on the search help of UNIT field. MODEL and UNIT are just two input filed for example here. That’s only addition you have to do while creating value list in OData, just only gave the path of the dependent field. After this, just create value list for dependent field, in our case which is SERNR_LO(UNIT). Just provide path of respective field . No need to provide path of main header field in our case which is MATNR_LO(MODEL).It automatically take value for that. Just by doing some simple addition in value list annotation of the fields. we can easily create dependent value help or search help in our fields of FIORI application.There can be many other method to obtain this results ,but this is one of the method i have applied and found worth to share .